Jamie runs a range of face to face group workshops and training for both individuals and workplaces. 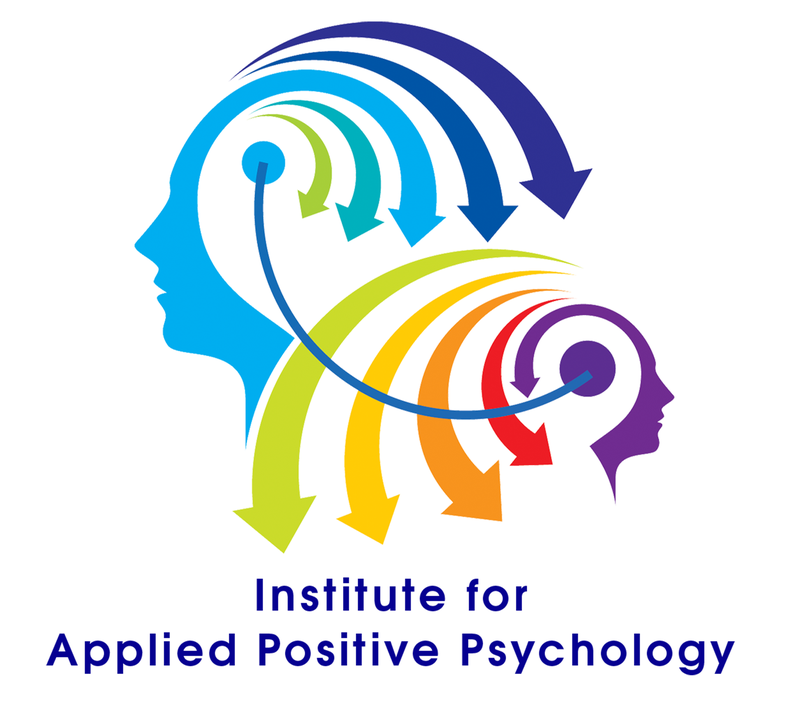 On an individual level these workshops are designed to increase self awareness and self confidence as well as an understanding of emotional wellbeing in general. Professionally these workshops boost employee moral, increase productivity, strengthen communication and improve team cohesion. What is Mindfulness Meditation & Its’ Benefits? If you are a school, business, or organisation and would like to run training for your students, staff or management team, please contact Jamie to discuss your requirements. For individual workshops currently being run please click here. 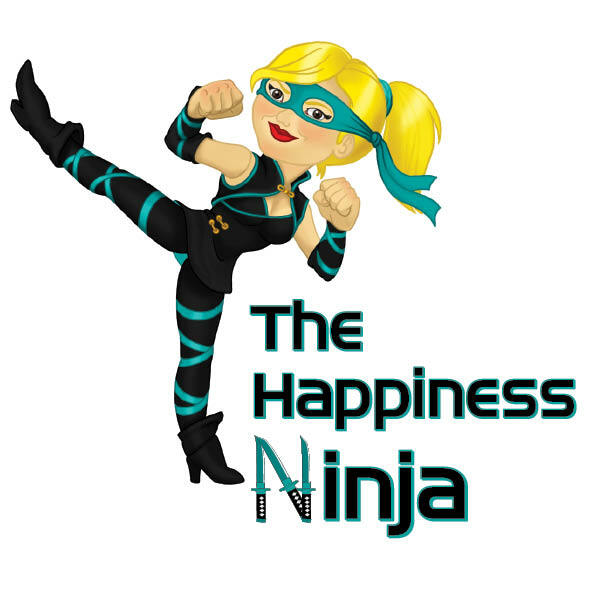 Jamie (aka The Happiness Ninja) is an exceptional presenter and workshop facilitator. She shares her knowledge from a depth of personal experiences with warmth, humour and a passion for this field. 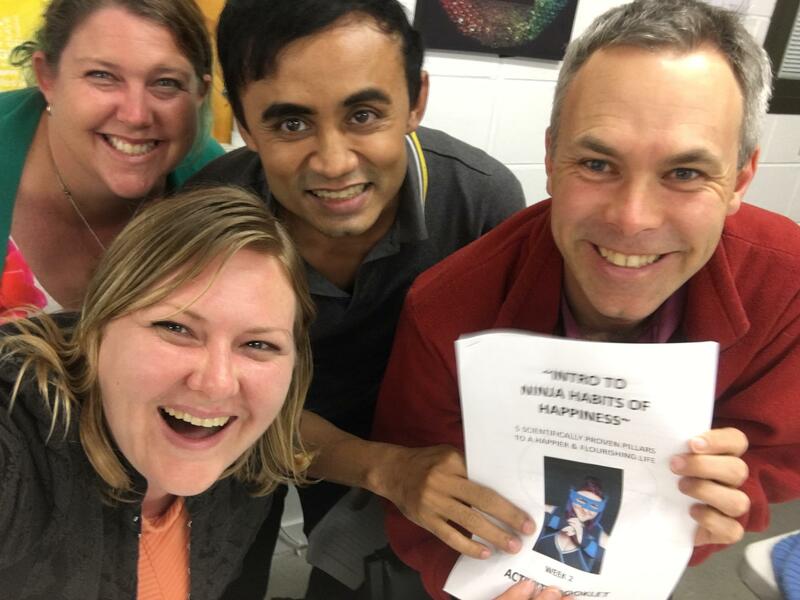 I recently was part of her series of workshops around the habits of happiness and was always engaged and surprised with it was time to leave. Thank you Jamie, I have discovered new parts of me through your process. I have no hesitation in recommending Jamie and look forward to attending future events she holds. BOOM! I really needed this. I’ve been struggling to control my emotions all my life. 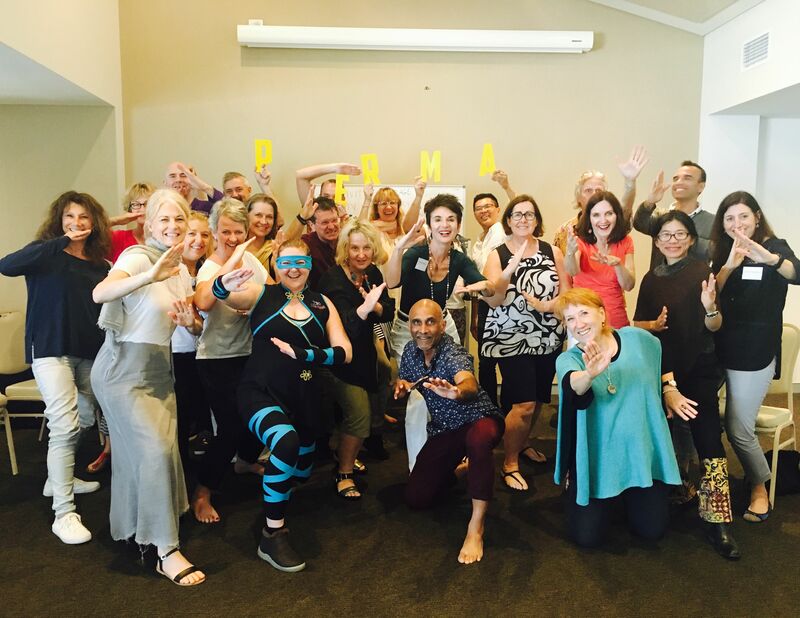 The workshop had a good balance of science, theories and also fun activities tied with Jamie’s warm personality, which made for an awesome day with useful information and advice. I recommend spending a day talking and working through a workshop like this because it is so imperative to good emotional and mental health. Jamie’s a rockstar presenter. Fun & engaging! I’ve been to 2 sessions of the Habits of Happiness workshops so far. This last one really made me look at my engagement and personal relationships with others and how it is about me and how I am showing up in life that affects things around me. Looking forward to next week and finding more FLOW in life so I can add more to my happiness plan. Thanks Jamie you are adding real value to us all, keep up the great work! The ‘be tough’ attitude is long accepted as the Australia way. Jamie’s EQ course is brilliant in planting the seed of an alternative view. Most of us can’t invest years in understanding the twists and turns of psycho-analysis. Jamie has done that for us and highlighted the really important bits. Civilisation advances when we understand how our mind works and Jamie’s knowledge is well worth a 1-day investment to understand what makes us “tick”. I left with greater resilience and a clearer picture of the path ahead. Thank you, Jamie!